What can one person do with 5 liters of wine? Drink it of course! We continue our bumwinebob.com expansion this week with the induction of our first ever BWB Box Wine Of The Week! On tap today we have the Almaden Heritage Pinot Grigio! It is described as "crisp, refreshing and full-flavored. 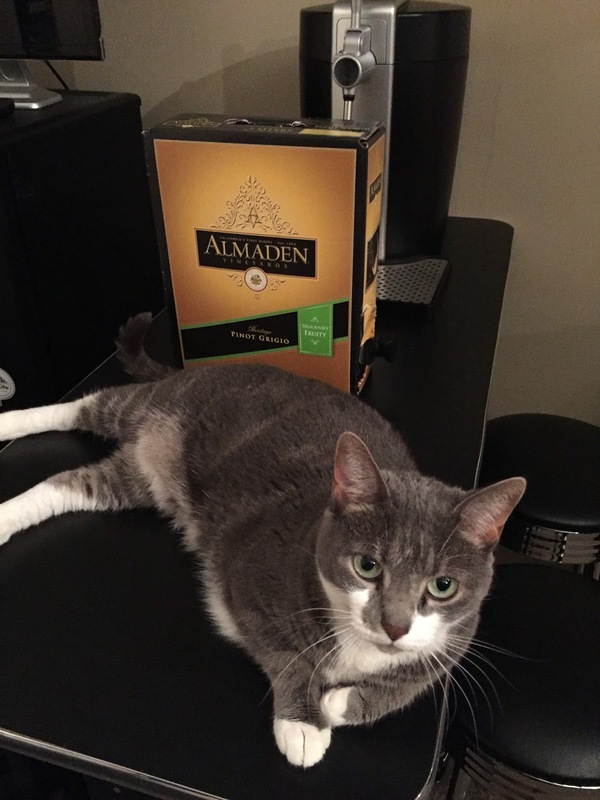 Aromas of tropical fruit and lemon zest lead to flavors of peach, pear and rich mineral notes with a clean finish." It goes down smooth with a mildly fruity taste and is very drinkable. 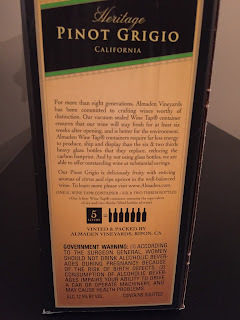 You will also be happy to know that it was not named on the list of wines containing high levels of arsenic, so you can drink with confidence that you are not being poisoned! Hooray! 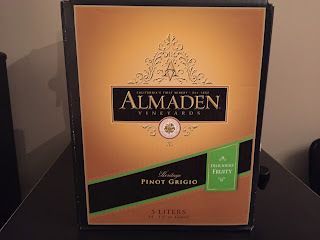 Almaden Vineyards is being called California's first winery, so you would think they have some sort of an idea what they are doing when it comes to wine. 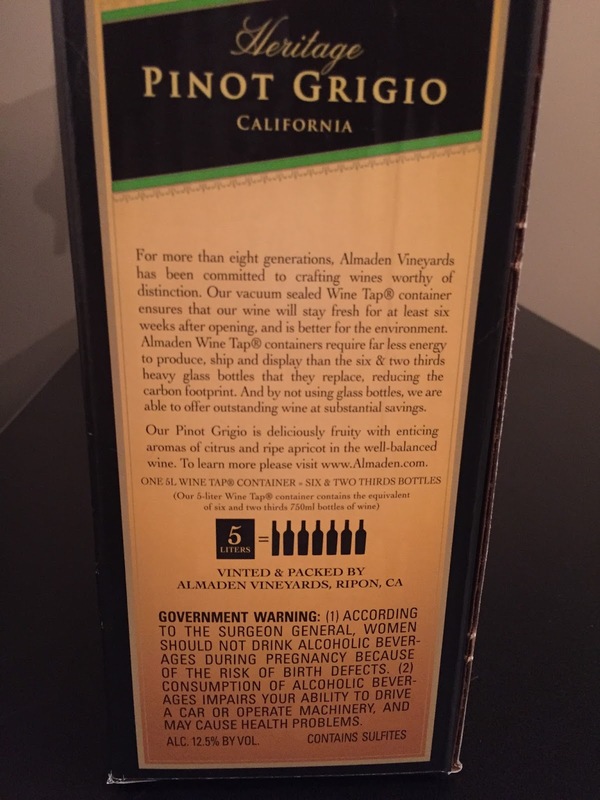 For those of you not familiar with box wine, one box contains 5 liters, which is about six and a half bottles, or 34 5oz glasses of wine. This box wine is perfect for your next big party or just normal Friday night at home drinking with your cat. Tune in LIVE this Sunday at 11pm ET/8pm PT when I am joined by Michelle aka Miss OMG from DayTripperMag.com on Bumming with Bobcat! We will be discussing our new site collaboration, guest blogging, fine wine, some other favorite drinks, and MORE! Grab a drink and join the party! Cheers!